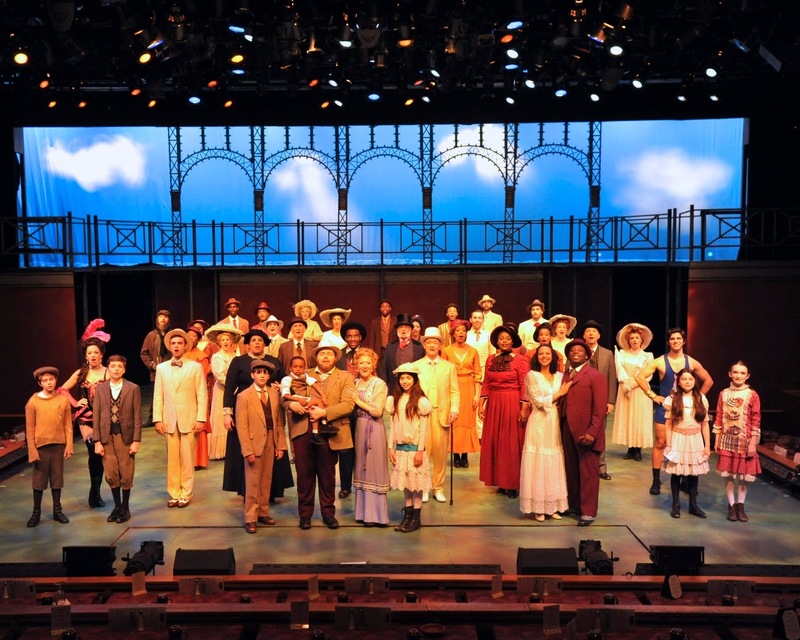 Ragtime, the musical picture of America at the dawn of the 20th century, is currently playing until May 4 at Westchester Broadway Theatre, close to what might be called the show's hometown. Based on E.L. Doctorow's novel of the same title, Ragtime begins with the book's first sentence, anchoring the action in Westchester County, just north of New York City: "In 1902, Father built a house at the crest of the Broadview Avenue hill in New Rochelle." Even more amusing for this reviewer, my current residence, Mamaroneck (just a few miles northeast of New Rochelle) gets a literal shout-out from a train conductor later on. This production is directed by John Fanelli and produced by his Standing Ovation Studios performing arts facility in Westchester. Last year, Fanelli's production of In The Heights was a major hit at WBT and a stretch for a suburban dinner theater more accustomed to showcasing classic fare such as Guys and Dolls. Ragtime is a big, sprawling show with three intertwined stories: a white, middle-class New Rochelle family (Father, Mother, Mother's Younger Brother, Grandfather) takes in a troubled young black woman and her baby; the baby's father (ragtime pianist Coalhouse Walker, Jr.) encounters vicious racism and reacts violently; a Jewish immigrant from Latvia (Tateh) struggles to make a better life for himself and his young daughter. Also putting in an appearance are some of the giant personalities of the age: Henry Ford, leftist agitator Emma Goldman, Harry Houdini, Booker T. Washington and chorus girl Evelyn Nesbit, whose jealous millionaire husband, Harry K. Thaw, shot her lover, architect Stanford White, in a roof garden theater.